I hate to compare books, especially ones that are really well written in their own right, but The Turner House reminded me of Ayana Mathis' The Twelve Tribes of Hattie. The thing that made it better, in my opinion, is that the characters are tied together. In The Twelve Tribes, even though the characters are siblings, their stories are written in such a way that they can stand alone and there's little interaction between the siblings as adults. So while we see them interact as children, once they move into the adult world, there's very little dialogue among them - standalone stories. It gives you a sense that there’s no familial bond among the siblings or even their parents. 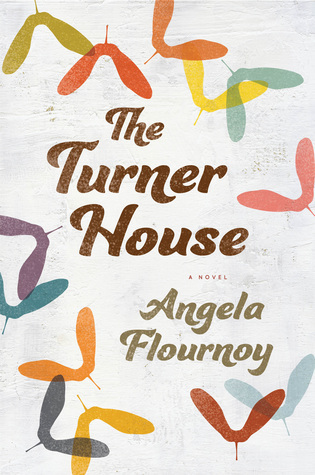 While The Turner House doesn't delve deeply into the lives of all the Turner children, Flournoy gives us a good sense of how their lives have turned out based on the adult children's whose lives she chooses to explore. The eldest, Cha Cha, carries the weight of the entire family on his shoulders, though we find out later, that no one has asked him to. As the eldest, he automatically assumed the position after his father’s death. We watch him scramble to make sure his siblings and his mother have what they need, while neglecting his wife and himself. On the other end of the spectrum is Lelah, the youngest. She’s spoiled and self-centered, typical baby of the family behavior. Her gambling has caused her to lose everything from her home and job to her daughter. Instead of taking responsibility for the chaos that is her life, Lelah blames any and every one else. Flournoy takes us back to Arkansas where the Turner parents, Viola and Francis first meet. Their journey from there to Detroit is lengthy in time and other ways. Theirs is not an easy beginning and it takes a while before they fully realize their marriage and family. Perhaps that is why it’s so hard for the family to let go of the house on Yarrow Street. It was a place big enough to accommodate their large family, a place filled with memories of birthdays, haints and holiday get togethers. Yarrow Street is crumbling, the Turner house is crumbling, but parts of the family don’t want to let go of it, even as the other siblings are indifferent to it. In ways it reminded me of when you see a kid every day and don’t notice that they’ve gotten taller until someone that hasn’t seen them in a while points it out. Some of the Turners didn’t recognize just how bad the house and street had gotten, so throwing a coat of paint on it or fixing or a door wouldn’t have done much overall. Memories are something no one can take from you even after a physical structure is gone. As someone that grew up in what the media and others called a blighted city, I was never really aware that it was. When I return to it, I can see that it’s crumbling in places and falling apart in others, but that city will always be home. In that way, I can relate to the members of the Turner family and applaud Flournoy for her portrayal of both the Turners and Detroit.